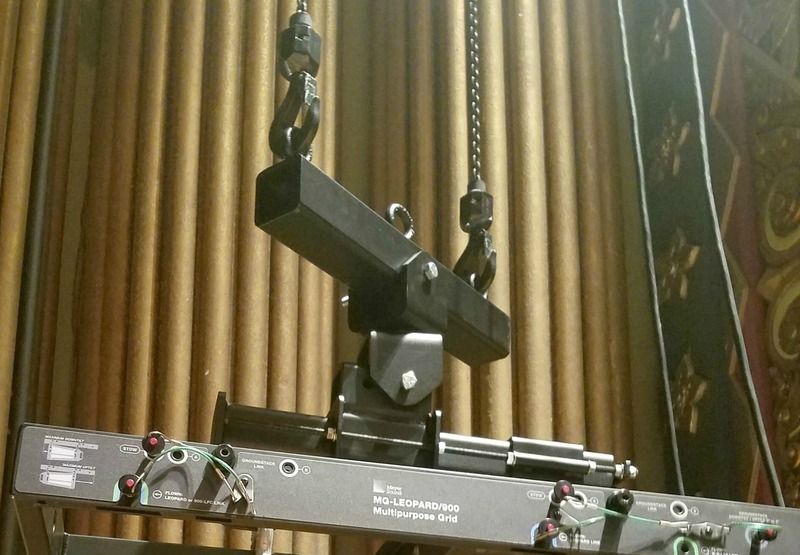 Image | September 26, 2016 July 11, 2018 | Polar Focus, Inc.
Bill Moore of Techniarts in Washington DC was tasked with upgrading the distributed sound system for the Great Hall at The United States Department of Justice. Polar Focus was asked to create special brackets to support 10 Renkus-Heinz TRX81/9 loudspeakers with stock RH U-brackets, mounted from beautiful art deco architectural railings. We were also asked to provide a custom powder coat color match. Bill said the brackets matched the speakers perfectly. We bet this sounds as good as it looks. Great work, Bill and the Techniarts team! 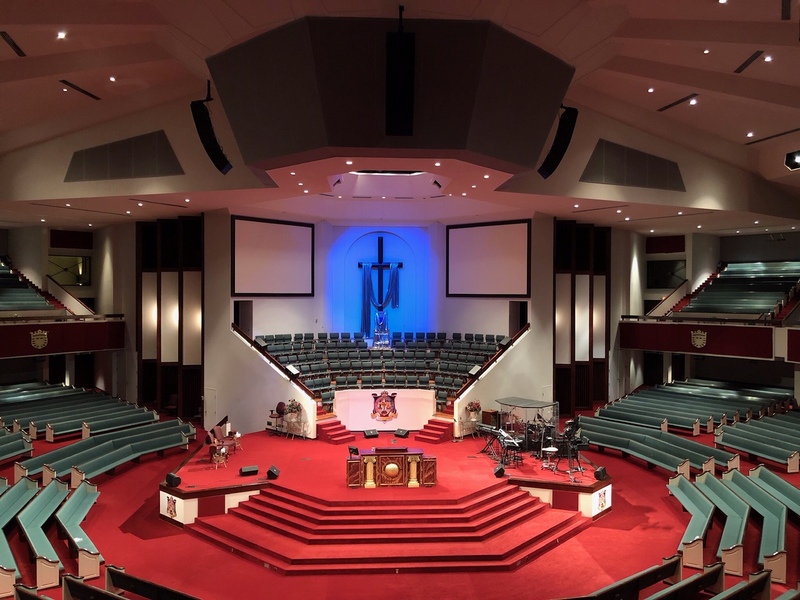 Image | September 13, 2016 October 5, 2016 | Polar Focus, Inc.
Visit LineArrayFrames.com to learn more about our innovative hardware for your next line array project. Video | September 9, 2016 October 5, 2016 | Polar Focus, Inc. Check out this video we made showcasing Polar Focus weatherized bracket system for the 720 lb. Danley Sound Labs JH-90 Jericho Horn. This system was skillfully installed by the awesome crew at McClelland Sound in Wichita, Kansas. 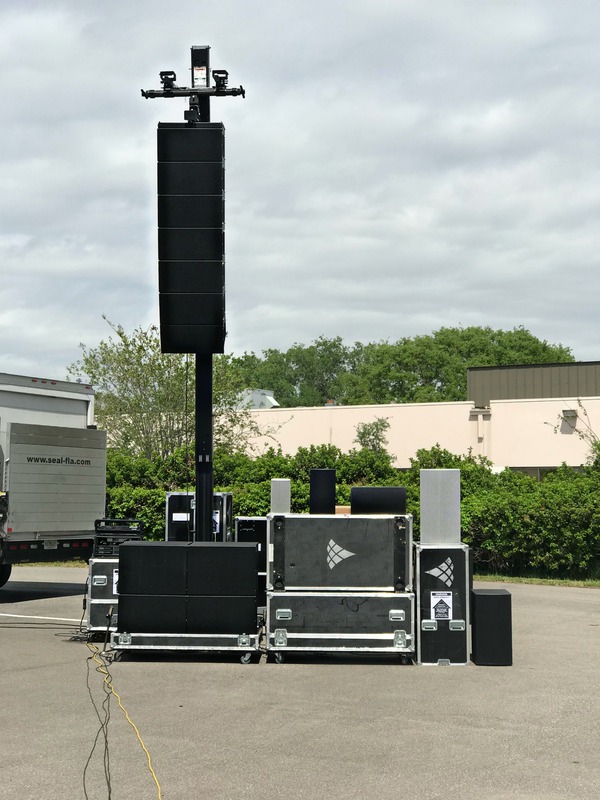 Installation photos and video used with permission from McClelland Sound. September 7, 2016 October 5, 2016 | Polar Focus, Inc.
Do you need a quote for an upcoming project? 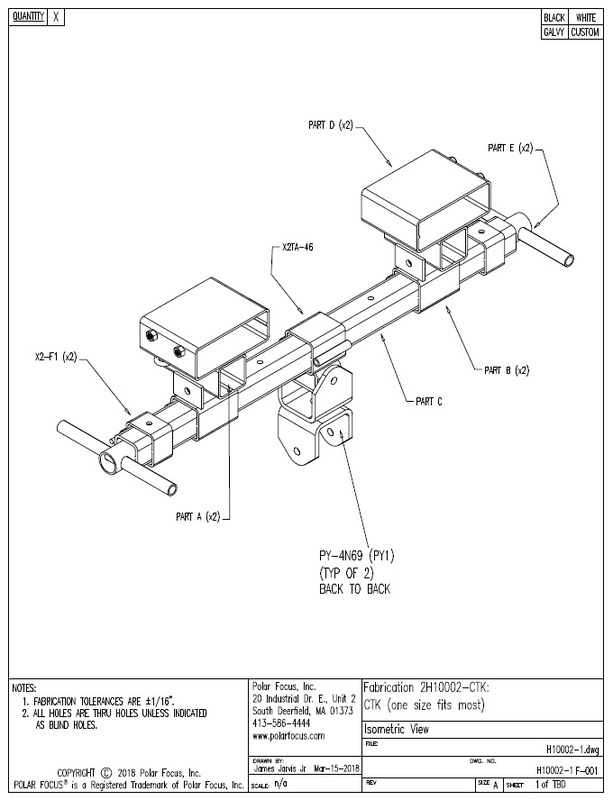 We’ve just added a Request for Quote page to LineArrayFrames.com. Just enter your information; we will set up a job number for you, and one of our Audio Rigging Consultants will call to get the details of your project. 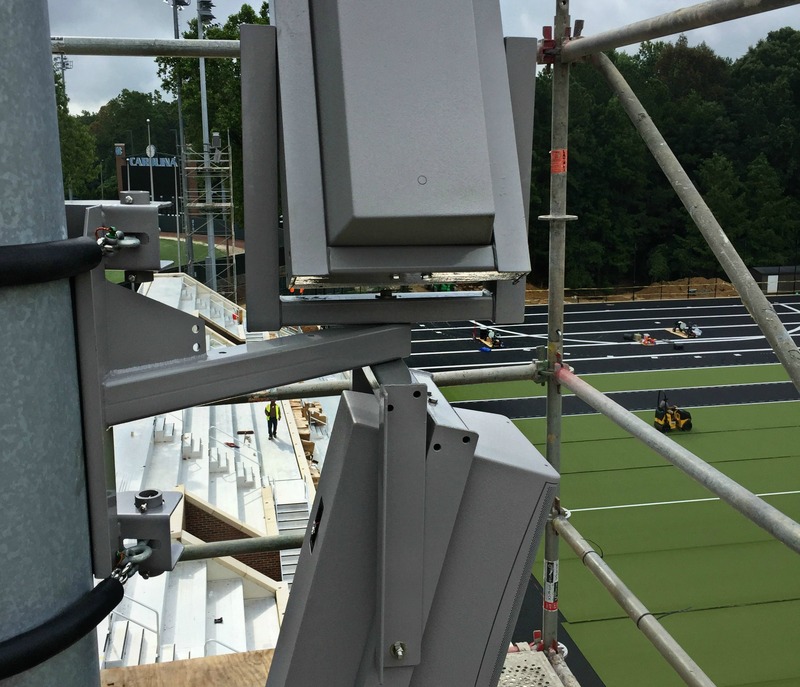 We will need line array calculators, photos and beam or roof data for your project. If you have any of this data at the time of your request for quote, please send it to info@polarfocus.com with the name of the venue in the subject line. 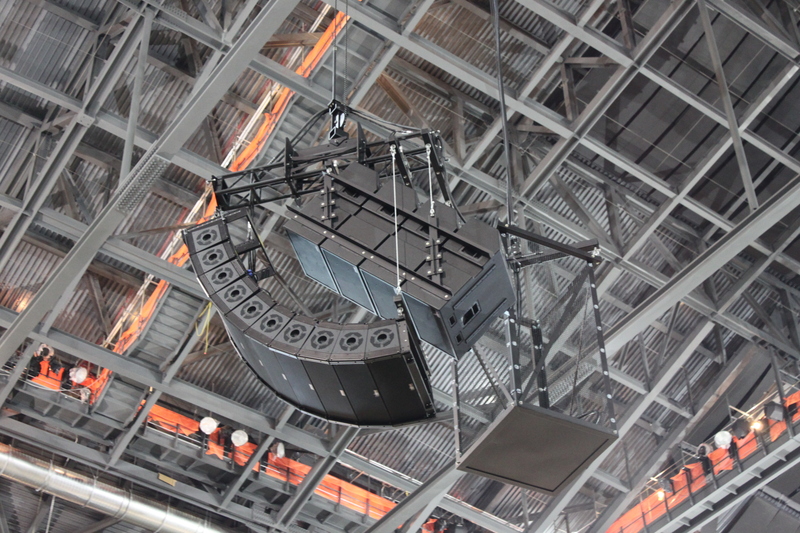 This quote form is applicable for any flown speaker installation, not just for line arrays. Image | August 30, 2016 October 19, 2016 | Polar Focus, Inc. Here are some photos from a recent pole mount installation at Lockhart High School in Lockhart, Texas. 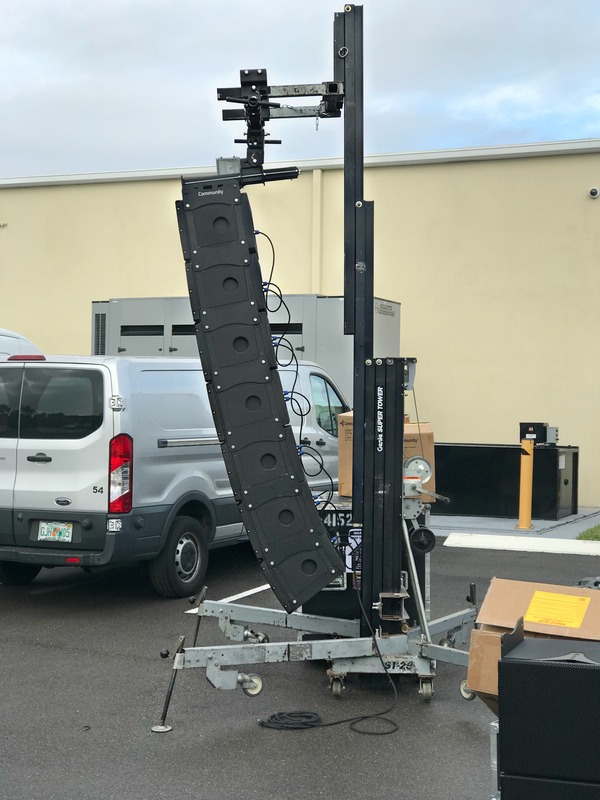 This configuration consists of one Community Professional Loudspeakers R2-52Z loudspeaker for field area coverage and 2 Community R2-474Z loudspeakers for side grandstand coverage on a 35’ speaker pole. 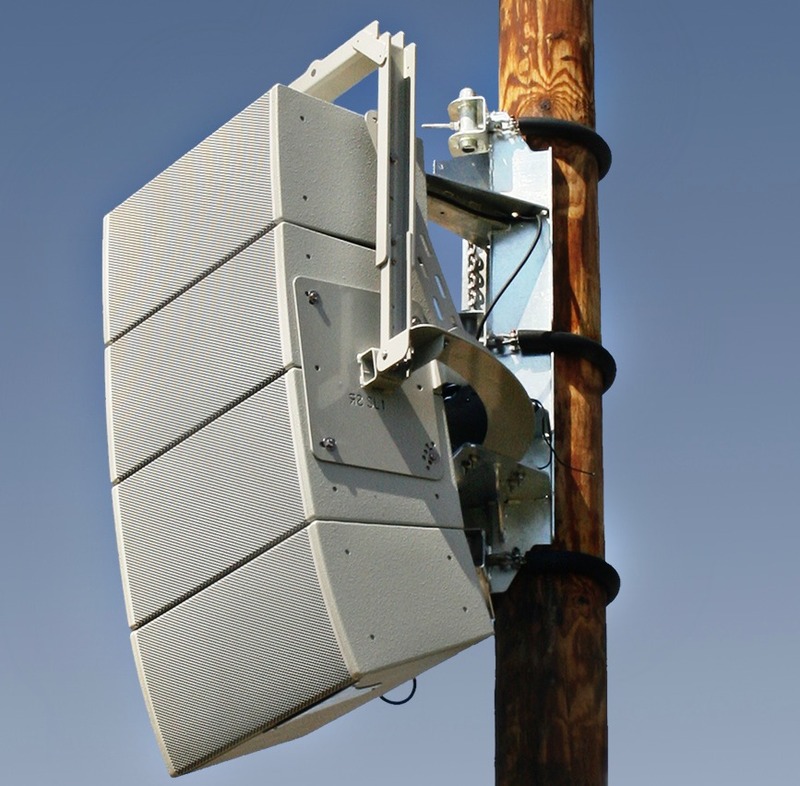 The left and right speakers are set up as a married pair on opposite sides of the pole, sharing the chain and hose components. The middle speaker is mounted below the married pair without interfering. 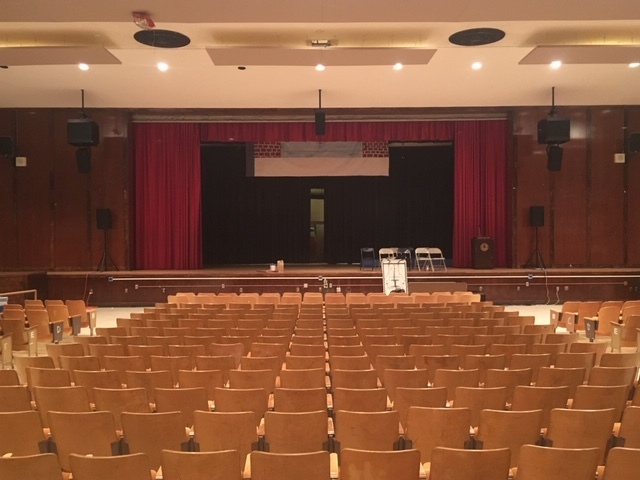 Great work by the crew at Technology For Education on a fine sound system! Go Lions! Image | August 29, 2016 January 27, 2017 | Polar Focus, Inc. The job went great. We loved the way the rigging worked that we got from Polar Focus. I don’t know if we could have gotten anything that would have worked any better. Please know that we will be using your products on EVERY video wall install from now on. And I think that is what we all wanted, right? Job well done!! 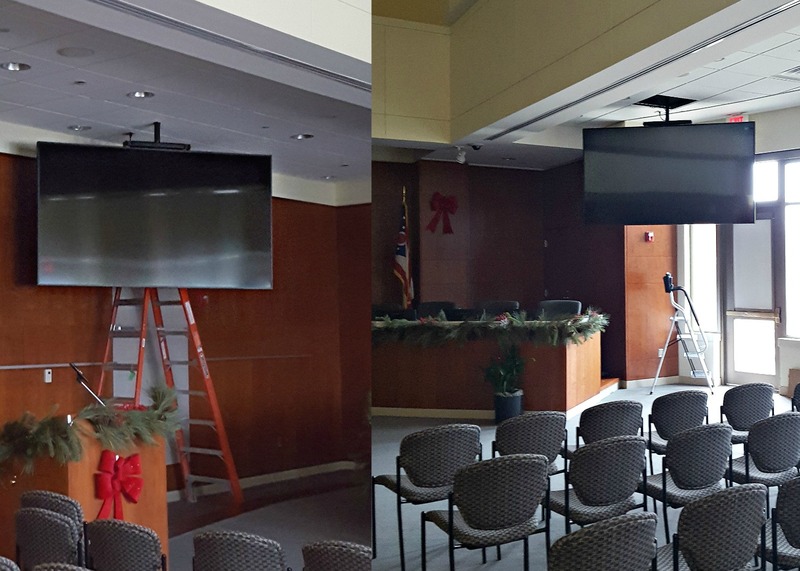 Polar Focus Wall Mounts were a perfect fit for this video wall installation. Give us a call if you’ve got an upcoming video wall project.